Video Works and with years of experience working in the Video Production Industry, Creative Film have a solid understanding of why Creative Videos will work in your business. We are happy to show you our gleaming portfolio of clients who have embraced video successfully. What would more VISITS, better CONVERSIONS and HIGHER SALES per transaction mean to your business? If you are like most people looking to grow a business then those three targets will be a high priority for you. Well what if there was an exciting, modern and cost effective way to significantly increase all of them at once. And what if it also left you with a great piece of marketing that you could use over and over again across multiple media at no extra cost. You would certainly take that wouldn’t you? Most big companies are now using video online; but most small companies still aren’t (and even the ones that are only make tacky amateur looking ones) So you will be far ahead of your competition. This really short infographic style video highlights key online trends today and the potential impact on how your customers will use technology used in the future. Google purchased You Tube in 2005 for $1.65 billion so they knew how important it would become… and their opinion should count for something!!!! Below are a carefully selected film list of only a few minutes long that we recommend all of our viewers to watch if you are interested in using video, tweet us at @creative_film to let us know what you think. 2nd most popular search engine, only behind google. 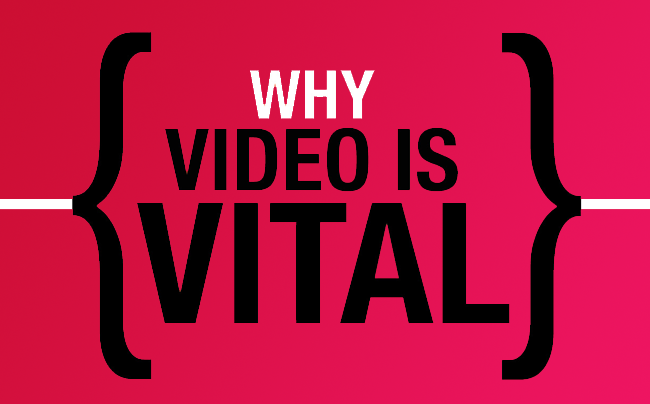 Web video organically lifts your website (FOR FREE) up the google rankings the longer people stay on your website. Like a supermarket or shopping centre, if you can make customers dwell longer in your presence there is a higher chance they will spend more money with you. - The Trafford centre has a food court to do this, your website needs to invest in a professional video. Dropped Frames: Frames/image files that cannot be read during a real-time operation i.e. imagine a flip book of 100 images and as you flick through one of the pieces of paper is too big, it would get in the way so it will be removed so the process isn't interrupted. This is the reason the M6 is always a bottleneck near Birmingham, too many cars for the amount of road so if you lower the amount of traffic you get them moving and happy again. Thunderbolt: A nerds dream, a cable developed by apple that can transfer extreme amounts of data up to 10 Gigabytes per second. Ghosting: when you see the same image slightly off the original image like a shadow. Very frustrating and the principle is exactly like a leaky tap. Rendering: The process by which video editing systems convert raw video, effects, transitions and filters into a new continuous video file. Rushes: Footage that is shot the same day; referred to as "dailies" in the U.S. Term is often used in sports broadcast when as soon as the game finishes the tapes have to be rushed to the studio for upload onto he news channels. Scrubbing: A scrub bar represents a timeline of video material. It provides a slider/cursor that you can move through the images of the material i.e. with it you "scrub" the bar. So if you want to move through a lot of footage quickly you will have fast/quick scrubbing and if you want to slowly get to a specific part then a slow/low scrubbing speed would be better. Video Format: Determines the way video is played or stored and is almost the language your video file is written in, some files are more universal than others. Although this is a very small part of video production, his can be one of the most complex areas for delivering files to clients so is always worth knowing what video files your server can handle....if you have one. .MOV .MP4 .WMV these are all files that video can be formatted in, for example if you think of a bike you would get for Christmas, the file type is similar to the size of the box it comes in. IKEA would probably send it to you in a small box that would probably fit in your car boot but another supplier may wrap it in a box so big you cannot get it through your front door, that is why sometimes videos works great on one computer and others not so much, basically every computer system has a different front door and you have to find a video format to fit. I hope this hasn't lost you.